It’s grilling season as we all know. So why not try something different. Pizza!!! YES, you heard me pizza. A lot of people are scared to try this on the grill but it’s acually pretty easy and fast. 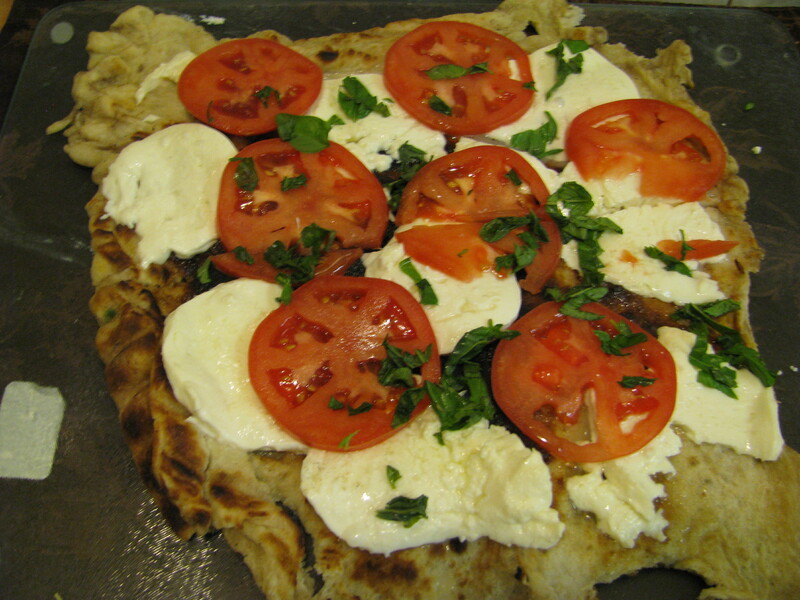 Take some pizza dough, roll it out, brush on some olive oil and place on the grill. Flip over within a couple of seconds (Tip: you will notice it will start to bubble up pretty fast. after done, remove from grill, place your toppings and put it on a pizza pan. Place it back on the grill to melt the toppings. You will LOVE this pizza. It’s super crispy and keeps you wanting more. It’s a must try for the summer. The first pizza above is tomato, fresh mozzarella and Basil. 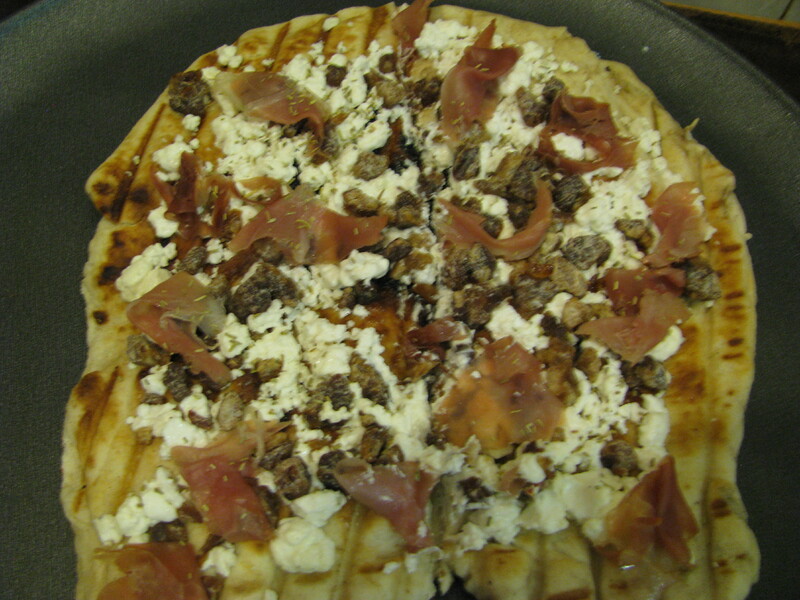 The 2nd one is goat cheese, dates and prosciutto. Do you have something different you cook on the grill?? I’ve been wanting to grill a pizza! There’s an article with some yummy looking recipes in this month’s Vegetarian Times. My husband just took a bbq and smoking class and they grilled pizzas. He brought some home for me to try and all I have to say is Wow! It was amazing. I like your toppings better though. Once we get some sun out here we’re definitely doing this. I’ve been wanting to grill pizzas! The weather is finally nice enough to do so. I’ll have to try to dates with prosciutto. I love sweet with savory!